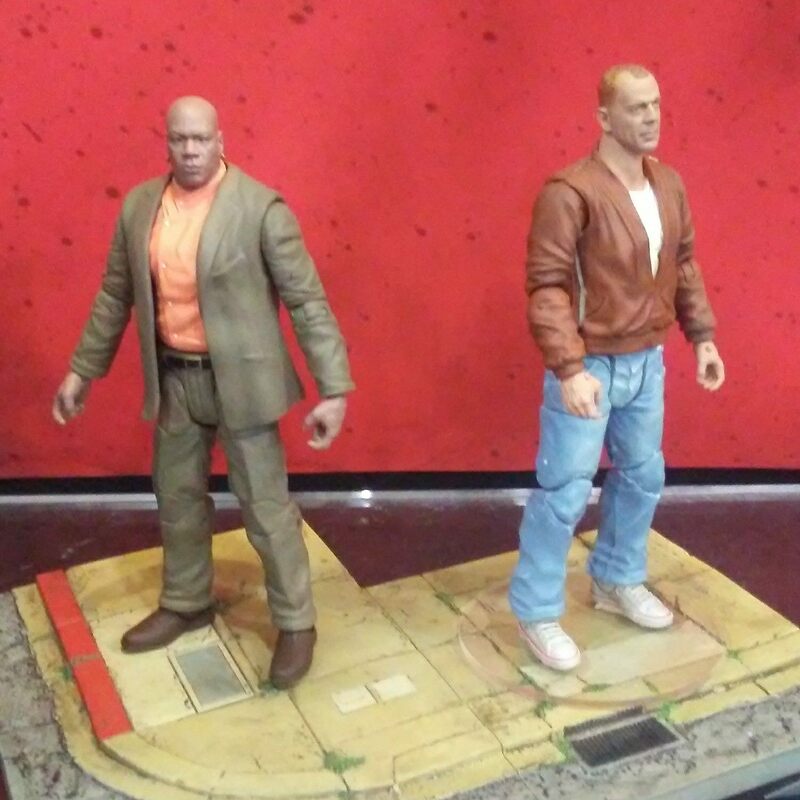 These will be released this Summer and the comic shops versions will include the diorama pieces shown in the photos. We’ll have more details as they become available. Read on to check them out. Cool. I hope this means they'll be pursuing other Tarantino films in the near future, I really want a figure of The Bride with modern articulation. They are doing Kill Bill as well. Was another item we weren't allowed to photograph. Oh snap! So you got to see them, Joe? What was the lineup and how'd they look? I understand they're probably early prototypes like the Pulp Fiction ones are, but general thoughts? Sorry, I wasn't at the event, but Tony B. gave me a short list of some stuff that couldn't be photographed there and Kill Bill figures were on the list. while on adventures with me and seeing NECA stuff, she literally commented "it would be cool if they did kill bill figures like all this stuff"
I did a Google image search for the Pulp Fiction figures before Toyark posted these photos and saw the Pulp Fiction figures and the Kill Bill figures. There's a prototype of the Bride and the young girl she fights with the mace on the long chain. Sorry, I can't remember the character's name. Neither of them looked like the actresses. They look nice but the Bride just looks like a generic blonde chick and not Uma Thurman. Hopefully they'll get a better likeness before the figures eventually come out. 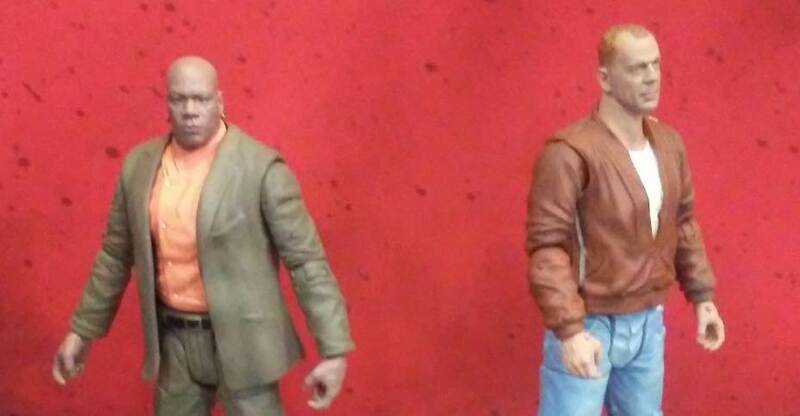 The Pulp Fiction likenesses are great so maybe they'll be able to fix the issue with the Bride figure. Pixel Dan posted a video from the Diamond booth, and there's a suprisingly long glimpse of Mia Wallace. That figure absolutely looks like Uma Thurman, so I imagine Beatrix Kiddo will, too, now. NECA's Kill Bill stuff was top-notch. 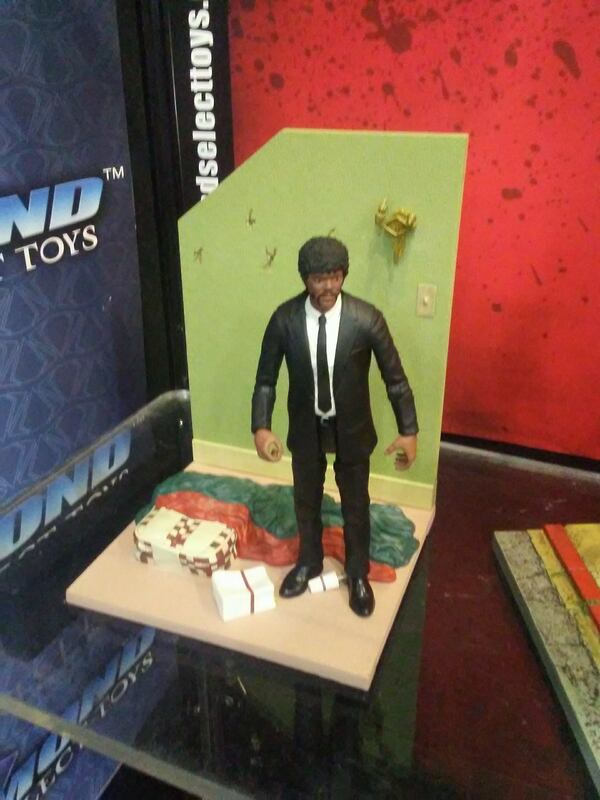 You could always hit up eBay & grab Mezco's Reservoir Dogs, which I believe were in that scale. An image search on Google will bring up the Bride figures from previous years' Toy Fairs. Diamond has had these licenses for a while & they've been working hard with Tarantino and the actors to make them as accurate as possible. I've no doubt they'll be brilliant when finally released. Impressive actor sculpts! Look forward to seeing these figures up close. Photo of Jules on another toynews site shows the figure having a weird droopy eye. Same. It looks good when closed, but when you do any poses it looks bad. Marvel Legends found a nice balance with their recent suit body.